At Capital Consulting Group, we specialize in helping clients strategically manage their business and finances. In addition to looking at the "big picture," we also keep a watchful eye for the small items that could eventually cause trouble. We will assist you in making your company more profitable by cutting unnecessary costs and minimizing risks. Most small business owners need to focus on what they do best ... selling. Let us worry about the office and handling your books. We can help you achieve the success you want and deserve. Use our extensive range and wide array of education, training and experience to help you and your business! We assist international taxpayers obtain an ITIN and comply with U.S. tax laws and consult regarding U.S. Tax Treaties with foreign governments. "I was worried that my business records were in such a mess, and I was late paying my payroll taxes. Capital Consulting organized my books and set up a payment plan with the IRS. Now I don't have to worry anymore!" -K.T. "I was ready to open my business, but needed advice about worker's compensation, corporation vs. LLC, personal liability and risk, and bookkeeping programs. Doug Rogers at Capital Consulting Group saved the day." -K.M. "I had another accountant prepare my 2011 tax return. When I got my notice of audit, I knew I needed expert help, so I hired Capital Consulting Group. Their experts represented me and I never had to see the IRS agents again, plus I got a No Change audit result." -B.H. "I purchased rental real estate in the States and needed to file a U.S. Income Tax Return. Capital Consulting Group made it easy for me to get an ITIN and file my taxes from Israel." -A.T.
"When I owed the IRS several hundred thousand dollars in taxes on unfiled returns, I left the United States and moved to Kiev, Ukraine. Later, when I wanted to come home, I was scared that the IRS might meet me at the airport and arrest me. I hired Capital Consulting Group to work out my differences with IRS and get all my returns filed. And I got to see my family again!" -S.C.
All information contained within this web site is for reference and informational purposes, and is in no way to be considered legal advice regarding your particular situation. The results displayed on this website are representative of that particular individual taxpayer’s situation. Individual results will vary, and the purpose of the consultation is to determine the specifics of an individual’s case. 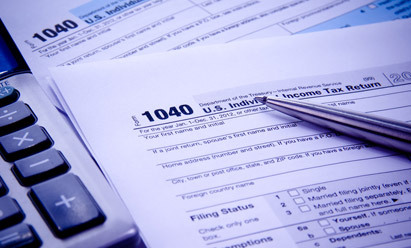 IRS regulations require us to advise you that, unless otherwise specifically noted, any federal tax advice in this communication (including any attachments, enclosures or other accompanying materials) was not intended or written to be used, and it cannot be used, by any taxpayer for the purpose of avoiding penalties; furthermore, the communication on this website was not intended to imply a standard situation that would apply to all, but rather to the matters that it addresses.